The app will allow you to capture the emails of your subscribers through the text messages they send to your short code. It is a great tool to build you subscribers' database and leverage for future mobile marketing campaigns as well as email marketing push. Prompt your clients to text your keyword plus their email address separated by space. Subscribers would send text message with the Mobile Keyword, followed by Email. There must be a space between the keyword and the email address. 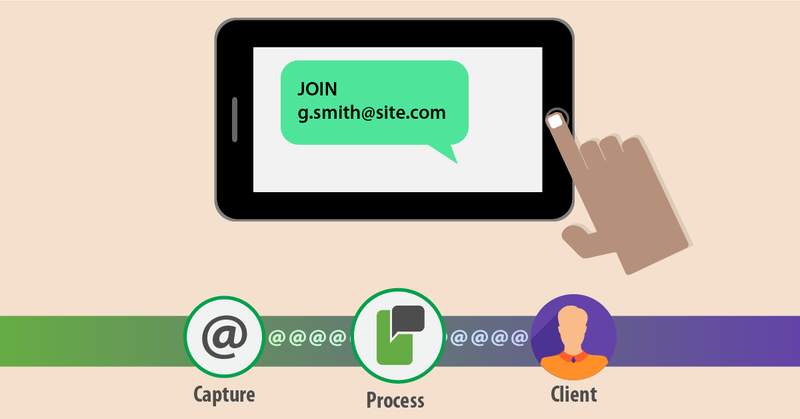 You can also combine the Email Capture with the following data capture apps for better performance on your messaging campaigns: Name, Twitter, State, Postal Code (ZIP) and Custom Field Capture. It’s easy to setup and it runs on auto pilot for all of your SMS keyword campaigns, such as SMS autoresponders, DRIP campaigns, etc.